“At 2 a.m. in the morning on Friday, June 23, I woke up with someone knocking on my house door and I knew what was coming. When I opened the door about twenty-five soldiers entered my house. They didn’t even let me change and immediately ordered me to wake everyone in my house. My son was sleeping in the living room; my other children were in their rooms. I had to wake them all. They put us all together in the living room and kept our cellphones and cameras. “During the hour they were there, with the excuse of searching for guns, the soldiers raided my house. They threw all of our clothes on the floor and knocked things over to intimidate and humiliate us. They were not searching for anything; they only wanted to punish me. 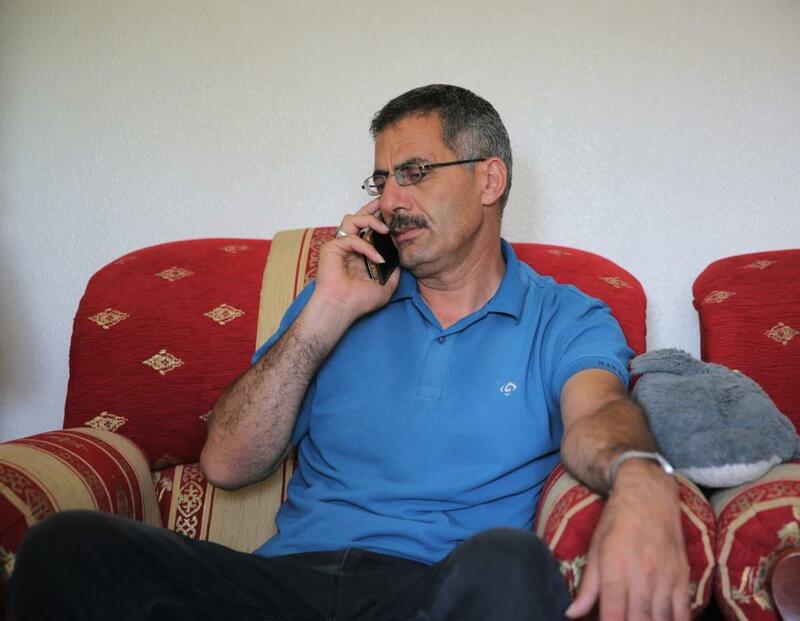 “A few hours later they said that if I wanted to have my son back I would have to pay 1000 shekels. I do not have that money. My two sons are getting married soon; I have a lot of debt. I had to borrow money to be able to release my son. This is the seventeenth time he is arrested and he is only 16-years-old. The first time he was arrested he was only 8-years-old. Aref Jaber has always faced threats. As an active member of Human Rights Defenders, he films and denounces abuses that Israeli occupation forces commit in Palestinian territories. Since 2 June when he witnessed and filmed the Israeli military shoot and kill Palestinian road worker Rami Sabarneh, these threats have become increasingly deadly. He was arrested, severely beaten and had his house raided several times afterwards. When the soldiers were in his house they told him they would put a bullet in his head. Still, Jaber refused to follow the instructions of the Israeli intelligence service to testify that the murdered man was drunk driving.